Why this is important for your business: The software that your business uses today will be full of bots in the future and this will help you better automate your sales and service processes. But this is very Grinch-like, isn’t it? 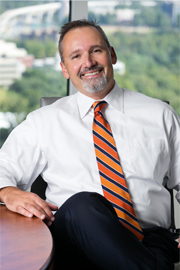 Mr. Mercurio is a Principal and the Chair of the Firm’s Business Law and Transactions Practice Group. He serves as outside general counsel to clients on matters related to corporate and business law, commercial transactions, government contracting, health care, construction services, and real estate. As a strategic partner to firm clients, Mr. Mercurio regularly counsels entrepreneurial individuals and assorted entities on all aspects of business and commerce including formation and structure; ownership, management and control; financing and capital; expansion and acquisition; sale and transfer; and contraction and dissolution.